Singer, Alexandra Burke stunned in a sheer embellished black gown. 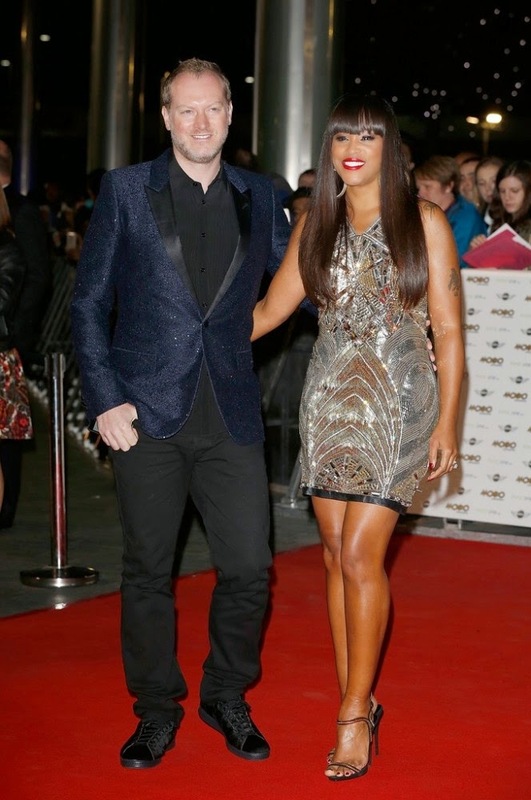 Rapper/Actress, Eve stunned next to her husband who looked sharp and handsome. Singer, Jessie J. sizzled in a plunging neckline jumpsuit. I love your music K. Michelle, but I can’t believe you flew all the way from United State of America to come and show us your bum. Like seriously!!!!!!!?? I don’t know wassup with Kid Ink, but Asiah Azante shimmered beautifully. Leigh-Anne Pinnock and Jade Thirwall who are members of the girl band Little Mix, looked amazing on the carpet. Mel.B brought some sexiness in a Julien MacDonald Fall 2014 dress and her husband, Stephen Belafonte also rocked an all black. Nicole Scherzinger rocked in an Ermanno Scervino dress. Rob Evans with his handsome self in all black. Sarah-Jane Crawford, – great dress, but not really a fan of your makeup. Singer/Songwriter, Jamelia stunned in a Nazz Collection grecian maxi dress. 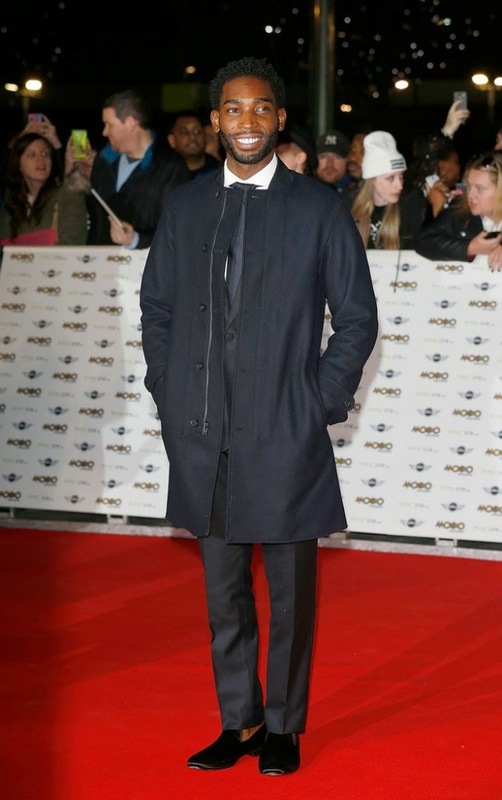 Tinie Tempah looked sharp in an all black ensemble.